Susan Bladholm, president of Frog Ferry, at the Oregon Transportation Commission this morning. The ‘Frog Ferry’ has taken a major leap forward this week. The passenger ferry concept is making its first major public debut with media coverage and a spot on the agenda at today’s meeting of the Oregon Transportation Commission (the governor-appointed body that sets transportation policy for the State of Oregon). 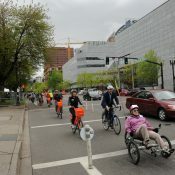 Spearheading the effort is Susan Bladholm, a former director of Cycle Oregon and corporate marketing professional who spent 10 years each with Business Oregon and the Port of Portland. 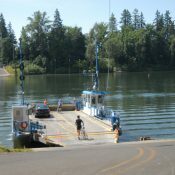 Bladholm has spent two years researching and building support for her plan to establish a ferry service on the Willamette River that would shuttle customers between Lake Oswego and Vancouver. From a presentation by Frog Ferry. Far from just a pie-in-the-sky idea, Bladholm (whose bio says, “she has staffed five governors”) can boast of having 450 supporters lined up behind her. She’s met with dozens of agency staff and was personally introduced to ODOT management by Director Matt Garrett. The Frog Ferry has support from major power brokers in Portland politics and river interests including the Port of Portland, Port of Vancouver, Zidell Companies, Working Waterfront Coalition, Vigor Industrial, Travel Oregon, City of Portland (Mayor Ted Wheeler), Portland Business Alliance, Central Eastside Industrial Council, and Daimler Trucks North America. The name and logo artwork comes from Chinook myth. The idea of a water ferry was also the subject of a 2006 City of Portland study as part of the River Renaissance initiative. One key barrier cited back then was the lack of terminals and dock facilities and the high cost to built them. That’s why strong private sector interest makes the Frog Ferry concept different. 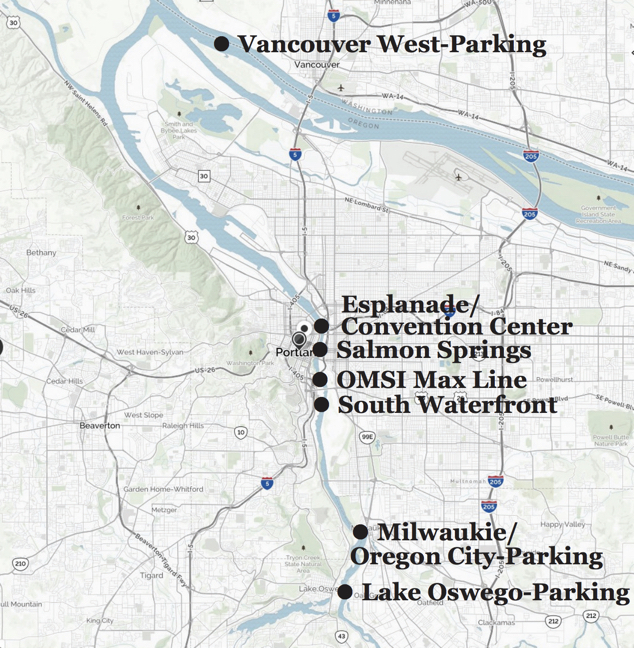 According to Frog Ferry documents, the concept would include seven stops between Vancouver and Lake Oswego, with future plans that could add more stops and extend the service to Camas, Troutdale, and St. Helens. The service would target commuters, errand-runners, tourists, and people in emergencies. “When and if the big earthquake happens we’ll have more vessels to move people around when all the bridges come crumbling down,” Yates said today. Estimates of use and trip times are still approximate, but a presentation shows the trip between Rose Quarter and Vancouver taking 25 minutes. Lake Oswego to Vancouver would be 41 minutes. To drive the 20 miles between Lake Oswego or the Rose Quarter to Vancouver would take around an hour or 30 minutes respectively during typical commute traffic. The ferries themselves would fit about 149 people and would have room for bikes. 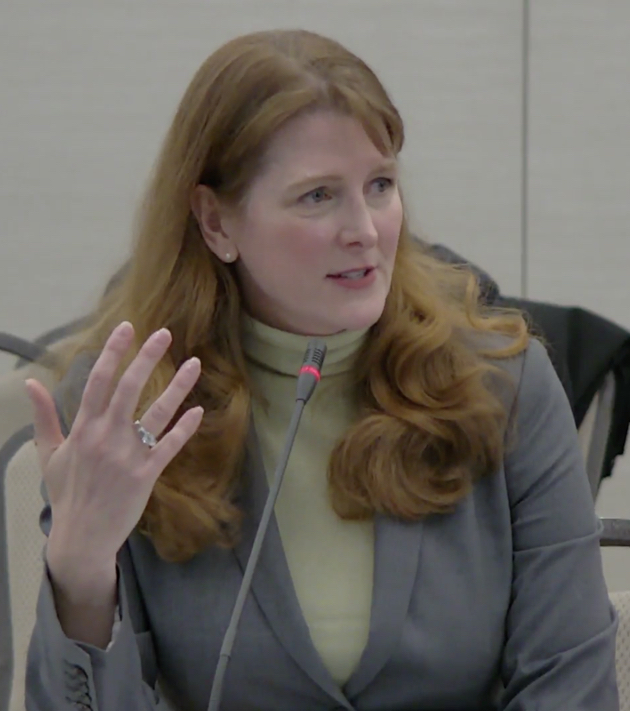 Bladholm told the OTC today that that equates to taking 500 cars off the roads, based on Columbia River Crossing project research that found 67% of I-5 auto traffic that crosses the Columbia River is single-occupancy. To further understand the costs and benefits of the project, Frog Ferry backers are asking the State of Oregon to help fund a $650,000 feasibility study. Yates added that he envisions a system of 16 electric ferries that would ideally be have to be tightly integrated into the TriMet and Streetcar systems. Commissioner Alando Simpson also expressed support of the project, saying, “I think it’s a very realistic and practical concept.” Simpson also said he was concerned he didn’t see any representation from environmental justice advocates in Frog Ferry documents. “You’re going to have to figure out how you tap into those constituent bases,” he advised. This is exciting stuff. I’m jazzed not so much because I adore ferries (I like them much more than I like buses, but I’m not really passionate about them), but because we desperately need to get people thinking and doing outside the box (cage?). This sort of project can bring a city alive as people begin to see possibilities for success rather than evidence of past failures. That latter thing will always be around, but it should never stop us from seeking better ways of doing things and better things to do. Three cheers for all involved. Go get ’em. I’ve been in Portland 14 years and amazed everyday that there hasn’t been something like this in place. There hasn’t because using ferries to travel along rivers just is not a thing that exists (save for extremely dense areas like New York, London, etc…). Ferries primarily only make sense for crossing water when other infrastructure is prohibitive, would be surprised if for some reason those economics are different for Portland. There are Federal Transit Administration (FTA) & FHWA (interstate highway) grants and subsidies for ferry services – the ones in NYC are subsidized, as they are in Puget Sound and the rural Outer Banks of North Carolina. I’m guessing they can also get CMAQ grants for reducing air pollution in a major polluted city (Portland is still listed). We uust returned from the San Diego area where we were there as tourists. We loved our trips on the Coronado-San Diego ferry. I can envision Portland’s use of a ferry being loved by tourists as well — and as locals, too. Every grandma will take their grandkids on the ferryboat. That sounds wonderful. However, the service proposed between Vancouver and Portland is just about as opposite of the Coronado Ferry it could get. Boats/ships have been visiting Portland since its inception (probably as early as 1795; certainly around 1808/9 during the last Duke of Portland administration when Oregon was part of the British Empire; 1836 according to the Oregon Historical Society; 1851 was when the town was first incorporated). Then horses and carts. Trains and bikes came later, 1870s or so; the first paved streets in Portland were paid for by subscription. Cars later still. In Sellwood, Spokane ave. is basically already built to go straight into the river. Used to be a ferry there I hear. On many commutes I’ve dreamed of simply boating to downtown, but alas, where would I park it? Perpetual dilemma. An inflatable pack raft/kayak would be cool… they have some that are less than 5 lbs and fit in a space the size of a dictionary. But that scenario gets ruined somewhat by the time & effort of inflation/deflation. I think those are some rosy estimates. 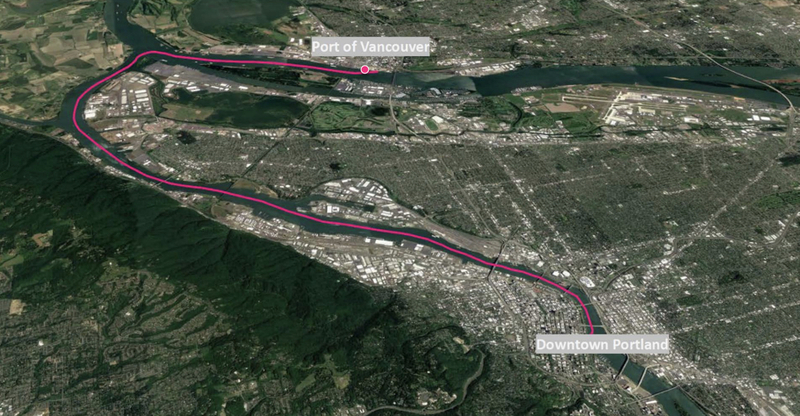 I’m estimating about 13 river-miles between RQ and that spot in Vancouver. That means, with zero added time for undocking, turns, docking…that ferry would have to average 31 mph to make that in 25 minutes. That’s solidly speed boat realm. And the LO to Vancouver is far far worse. There are 5 stops in between. Making a ferry stop in 5 minutes would be amazing. So that’s 25 minutes just for the stops, leaving 16 minutes to make the trip. Yeah, 22-ish miles in 16 minutes? I won’t even bother crunching that number. This type of ferry will be nothing more than a tourist attraction. The distances are just too far to make it a practical transit option. Maybe replace Vancouver with St Johns and Swan Island and they’d be a little closer to reality? You could take it wherever you want Gary B. I’m sure they would have stops downtown and in St. Johns, Swan Island, and so on. Multiple stops as you suggest increase travel time, which compounds the problems Gary B. describes. The frequency of stops is exactly the problem that transit agencies are trying to solve with limited-stop express service. The same problems exist with the Portland Streetcar. Too many stops and low operating speeds. The ferry service has almost no chance of being an attractive option in terms of operating speed or efficiency for commuters. Add to that that the operating expenses of boats are astronomical. This is why they want to do a study. To figure out these details. My thinking too, I have ridden a large boat from just Swan Island to South Downtown and that alone took half an hour. Well, the jet boats are probably mostly idle in the winter, right? They might be able to average 25 mph. Agree they have to make it a non-stop service between Vancouver and Portland though. 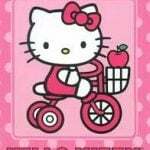 Then not to mention cycle/drive time involved in getting to and from terminals. Say, 15 minutes to get to terminal, 30 minute trip, 15 minutes to office. Very well could be a 2 hour round trip. I don’t think it would be practical for everyday commuters unless they could partly telecommute. I’d also like to note that the ferry could be extremely disruptive to surface transportation if it’s high enough to require bridges other than the lower Steel to lift. A single bridge lift would like cause more delay than a ferry cot solve. The ferry I recently took from Shenzhen (China) to Zhuhai across the bay was rated at 30 knots, which equates to ~34mph. And it wasn’t particularly newfangled, but could certainly get up and get out of its own way. So, acquiring new craft for this run, doing 30mph isn’t out of the realm of possibility, though I don’t know how many people will enjoy the river getting cleft at that speed all morning and all evening by high-speed ferries. Susan Bladholm was asked about the ferry travel time. She said a hypothetical 38 minutes. A caller asked about travel time to ferry, wait time, ferry transport, and travel time to destination post ferry dock. Bladholm danced around the question, although I don’t think intentionally. The talk about commute time seems precarious because it’s gaged against the time it takes to commute in a car. I spoke with my buddy who is a local government policy wonk and he likes the idea of getting out of the car and commuting via ferry. He thinks if private enterprise is going to profit off the endeavour, they should be the primary backers of any feasibility study that moves forward and government funds should be limited. I guess I’m skeptical, or rather, living in a fantasy world. Because I’ve done the reverse commute: N Portland to Salmon Creek. The drive was comfortable, easy, and took less than 25 minutes. I suppose it’s apples to oranges when talking about the commute from Vancouver. One thing that jumps out to me is the reduction of harm to the environment. Maybe if thousands of people stop driving, and maybe from Vancouver to downtown, but I’d guess almost certainly it’s not true from downtown Portland to Lake Oswego, which is a more natural stretch of river. And I still question the whole idea of spending public funds on things that encourage people to live in Vancouver and work in Portland. Just how far inbound can the ferry get? On the east side, the logical stops are already used by industrial ships. On the west side, you’ve got R-zoning upriver from the Broadway Bridge, past the Steel there’s public park needing easement for private use, and of course you have to raise its lower span to get that far. You might say this is… a heavy lift. Update: Russia appears to have low-slung “water tramways” with similar passenger specs that ought to clear the lower deck. The boats being discussed for this service have a low enough profile that bridge lifts would typically be necessary. The exception would be high water events in the winter and spring. These boats would also be able to travel all the way to Oregon City. In regards to docking facilities, keep in mind that the legal public rights-of-way for many of the streets in the Central City extend all the way to the river itself. Even though many of these are not currently improved as streets, they could be opened up and used for dock facilities if the City had the political will and funding in place to do so. This includes parts of Tom McCall Waterfront Park as well. Much of the land here operates as a park under permission from City Council and PBOT. 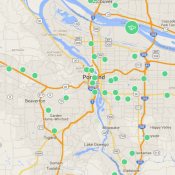 If PBOT needs it back for a transportation use, they can reclaim it. Interesting tidbit about the Public ROW extending to the water! This doesn’t sound terribly practical–but, having enjoyed many bike/ferry trips in Puget Sound, San Juans, etc., my wife and I will be first in line with our bikes if it ever sails. My favorite ferry rumor of several years ago–a Ridgefield-St. Helens run! Surely we should be considering an ekranoplan, or a whole fleet of them! The timing for this could be just right. As happy motoring goes into its inevitable death spiral in a couple of years then ferry service like this will be a perfect way to pick up the slack on a very un-congested transportation byway in our city. We’ve been hearing that for years. It would have happened already. How is this not cultural appropriation? Appropriation or appreciation, pretty hard to tell. Falls into the same bucket as the “Willamette”. Is that name problematic too? anyone with 1/1024 ancestry. Duh! How is literally any reference to any culture “cultural appropriation”? Seriously, the internet pearl clutching has gone too far. People are becoming aware of cultural appropriation, so ironically, when a group that seems like it could be somewhat enlightened (such as one proposing alternative transportation) uses something from another group, there’s some implication and assumption that it was done with that group’s support. But I don’t see that group (Native American organizations) among the supporters. Vancouver BC has had commuter ferry service integrated into the city transit system for years. “SeaBus is a passenger-only ferry that crosses the Burrard Inlet, connecting Downtown Vancouver with the North Shore. Each ferry can seat up to 400 passengers at a time, and departs every 15 minutes during the day. Wait… Did we already give up on the water slides? Cool. My kind of Columbia River Crossing! Any ferry that can keep that kind of schedule goes fast and loud. There are people who kayak and row on the river. There are birds and animals that live on the river. It will be a money maker for some, and a destroyer of a way of life for others, without making a significant dent in traffic congestion. I’m glad you pointed that out. South of downtown, Ross Island, Willamette Park, and much of the rest of the shoreline on both sides is significant natural wildlife habitat. That’s my priority. The kayaking, sailing, rowing and standup paddleboarding can manage better than the wildlife, but also deserve consideration. And for them and wildlife, it’s not just noise and speed that are problems, it’s also wakes. I’m also concerned about the pollution if conventional marine diesel engines are used. The article mentions electric ferries. “Destroyer of your way of life”? I guess the giant transport ships make your way of life better? There are no “giant transfer ships” south of downtown. True but there are jet boats in the summer. Considering the cumulative impacts on near shore habitat of additional boat traffic should be addressed and may create some trade-offs but I wouldn’t assume it is insurmountable issue. I agree, it’s at least potentially not insurmountable. I wouldn’t use the jet boats’ presence as a reason to allow the ferries, though. They’re horrible to human-powered craft, natural habitat, and shoreline. They constantly violate no-wake rules, which are in place to protect other people on the river, and the shoreline. This is between downtown and L.O.–I assume north of downtown may be less of an issue. However, I’d love seeing a trade–ferries INSTEAD of jet boats. I can see some tourist-type value between South Waterfront and the Esplanade/Convention Center. I’m no fan of the Portland Spirit after two recent incidents where the Coast Guard found it operated unsafely, with disregard to other river users (running through the Flugtag crowd, and then later nearly hitting a crew shell in the middle of a race. The jet boats don’t belong on much of the river at all, due to their noise and wakes, especially near Ross Island. So I’m instantly on guard seeing the Portland Spirit company associated with this. The idea that these would have any significant value after the big earthquake (which may be hundreds or more years off) is almost laughable. Mostly, we already know what needs to be done to improve transportation within the city, and this would be fun, but to me isn’t much more than a distraction given the tiny impact it would have. Two bicycles and one kayak (and 3 good lock sets) could be a good commuting set-up, especially if you are a few miles from the nearest bridge. Milwaukee Oak Grove to Lake O. Although we used to ride across the RR bridge there, since there actually is a perfectly serviceable car free bridge. A friend of mine commuted for about a year by standup paddleboard from Willamette Park (walked there with board from home) to RiverPlace marina, where he kept a bike or skateboard, then used one of those to ride to the Pearl District. The training factor made it worthwhile for him. Fast and loud? An electric boat should be pretty quiet and if it was using hydrofoils it could be fast and efficient as well with a very minimal wake. I think anything it hit just under the water would be toast though. Sounds a bit pie-in-the-sky to me given their optimistic travel time estimates and the odd comment about getting around bridge collapse after the Big One. As if those collapsed bridges aren’t going to totally block any river passage except for, maybe, canoes and kayaks? But, I wish em luck. Reading this article what jumped out at me is that Dan Yates is asking the city to subsidize his business development. You may recognize his name from his past and presumably current efforts to block the eastside esplanade. No thanks! I’m highly skeptical that a multi-stop ferry route could work. Stopping a boat to load and unload passengers doesn’t go quick; it’s not a 30-second event like a bus or streetcar would be. I’m guessing each stop would add three to five minutes to the trip. That adds up to really slow service. I can see this MAYBE providing express service from Vancouver to Waterfront Park. But even then, there’s the question of how many people it would meaningfully serve. How far would commuters walk from the ferry to reach their destinations? Ten blocks, maybe? How many people traveling from Vancouver work within ten blocks of wherever the ferry lands downtown? People traveling with bicycles would find it more useful, but again: how many bicyclists will commute from Vancouver? I suppose catching MAX might be in the cards, if you want to walk between 5 and 10 blocks to make the transfer. Every few years somebody suggests an idea like this. It never pencils out though. I’m guessing the numbers won’t add up this time either. Long time coming! I can see the new “Go By Boat!” sign bow. Frog Ferry says their Portland water taxi would reduce Interstate Bridge traffic by 500 vehicles. It wouldn’t make a dent in the 150,000 vehicles it carries daily. While a Water Taxi may not reduce congestion, it still could be a good idea. Im excited about having another shared transport mode that would not be held “bugetary hostage” to either the highway gang or freight rail priorities. Perhaps resiliancy (Interstate Bridge failure) or mitigation for building CRC2 crossing might be the hook to get it going. I would suggest adding to the study serving Ridgefield (port) given that region is Vancouver’s growth sink but with poor transit options. Though I worry this great idea might sink under its goodness: lack of SW WA backers, not terminating at Downtown Vancouve dockr, creating too much traffic to Port of Vancouver (no exisiting transit there), wake prohibitions slowing service speeds, the P&R lot sizes creating too great an impact and cost, …just a few from a brief scan of threats. The best way for the backers to avoid being held “bugetary hostage” is to undertake the effort using their own money for the study and for implementation and operation of the entire project. Don’t forget to include the cost of the boats, the docks and other landside infrastructure, plus personnel (including training and certifications), and administrative/overhead and profit. Go for it. I’d rather have three HAWK signals that I know will work, rather than a study that says a ferry won’t work without significant public financial support. And, as obvious from the map, this route is about three times as far as the I-5 corridor. Been there on my own vessel. Took a long time, and that was just going to Waverly. not LO. I commute on ferries regularly as I work in the Puget Sound area. I absolutely love them, such a relaxing way to travel. Sure they are not the fastest form of transportation, but being able to sit, relax and watch the beautiful scenery on my to and from work is very worth while. When I lived in Portland I often wondered why there was no ferry service with all of the available water ways. Yes, let’s be informed about the trip cost per passenger and subsidy per passenger, which is going to be astronomical. Ferries can make sense, when the geography is appropriate. In the case of this ferry, it doesn’t make sense because the route is actually longer than similar surface transportation options. If we really wanted a good commuter option from Vancouver, we would add a 3rd mainline to the rail corridor between PDX and Vancouver. Vancouver Amtrak to Union Station in 10 minutes. Another 5 minutes to a stop that could be added near OMSI. If you really wanted to go crazy, you could even add a stop in downtown LO another 10 minutes down the corridor. Maybe, instead of sinking money into modes that carry very few choice commuters with an extremely high subsidy, we can simply extend the yellow line into downtown Vancouver? A transit/local access bridge from Hayden to Vancouver would cost more up front, but would be infinitely more useful in the long run. Agreed clearly the rail solution is far better than a water ferry here, if the city is going to be spending money that is what should be investigated. If the Portland Spirit folks want to investigate a ferry I encourage them to pay for it themselves. 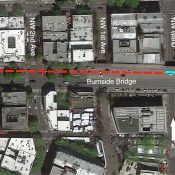 If they are actually concerned about improving multimodal transportation in Portland they could stop blocking the connection of the eastside esplanade trail and the springwater. can’t there just be some volunteer focus group to figure this all out..$650,000 could be way better spent. This is a great idea but I think a monorail connecting NW Portland to Lake Oswego is a more urgent priority. This won’t work, for the many reasons stated above. People want to believe in a simple easy fix to congestion. But this won’t work. They just want to keep driving and so will continue to hope a solution drops from the sky. This makes zero sense when there’s a perfectly good rail line along that route, which is faster, cheaper, and can carry more people. The rail link also touches down in Oregon City. It’s possible to commute from there to Portland’s Union Station, arriving at 8:05 AM (41 minute trip) and departing at 6:05 PM for a 22 minute return trip. Costs $5.00 each way. That’s not the worst commute schedule I’ve ever seen. This is on the Amtrak Cascade train which does a bit better making the schedule than the Coast Starlight which would be a really aggravating way to commute. Sorry Mike. Should have been, “Port of Portland”. Will fix it now.